Gail has a rare combination of skills and background. She is a mother of five, a businesswoman, a retired midwife, an active community volunteer and so much more. In the mid-1970’s, Gail developed a chain of hypnotherapy clinics in Canada and the United States. While living in Texas, she became a registered midwife in 1988, a certified professional midwife in 1993, and a licensed midwife in 1996. Gail has served as president of the North Texas Association of Midwives, NTM (local Dallas/Fort Worth), and is a member of the Association of Texas Midwives, ATM (state level) and of the Midwives Alliance of North America, MANA (national level) and of the North American Registry of Midwives, NARM (national certification). She moved on to working at the state level with her appointment to the Texas State Midwifery Board from 2001-2007, where she was elected by the board to serve as vice-chairman. This board controls and develops state midwifery rules and regulations for licensure in the State of Texas. Gail still (2018) travels to deliver babies in places where midwifery is legal, but natural births (i.e., mostly home births) are rare. 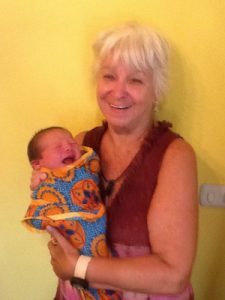 As a hypnotherapist in the mid 70’s, some of her mutually forward-thinking clients wanted to use hypnosis for their childbirth pain management, it was and still is successful, therefore Gail began to develop childbirth with hypnosis workshops. This was the doorway to her becoming a childbirth educator, a doula and finally a midwife. Along the way, she has also become a peer counselor, a professional public speaker, and a women’s advocate. She is now well known to Texas and Belize legislators as a women’s advocate, as an advocate for the “non-medical” model of midwifery. For decades she has participated in numerous and repeated consumer and midwifery campaigns to preserve the rights of Texas women to birth at home with an obstetrical caregiver of their choice. Typical hospital births do not conform to Gail’s understanding of birth as a normal, natural process- not an illness! This conflict of philosophy (and practice) led her to become a midwife. 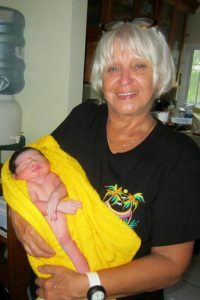 She has attended over 1,600 births globally, hundreds of those being water births. In 2006, upon her husband’s retirement, they moved to Belize and Gail started a new adventure, personally and professionally. She founded Midwife Without Borders and her career as a professional travelling midwife and teacher began. She is a certified Master Instructor for the American Academy of Pediatrics program, “Helping Babies Breathe”. That is she can not only train caregivers to resuscitate babies according to this program, but she can also teach caregivers to become qualified teachers in their own communities. 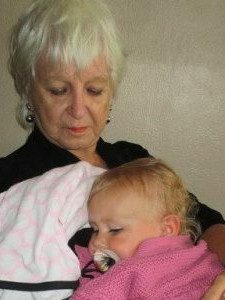 In addition to all this, she has had the great joy of sharing in generations of births, delivering babies for the now grown up “babies” she first delivered, including her own grandchildren, great-grandchildren, and great-great-grandchildren. Since the passing of her husband Earl in 2016, Gail travels between her two homes in Canada and Belize. She continues to travel the world sharing her passion and knowledge of midwifery. She has a Facebook page, under the name Gail Johnson and routinely uses Facebook not only to pass along the latest birth-related research and techniques but also articles relating to pros and cons of midwifery-based maternity care vs the medical model of care. In short, she is an activist that advocates a kinder, gentler method of childbirth and maternity care. To contact Gail for more information regarding attending a birth or conference presentations and webinar speaking engagements, email her at midwife.international@gmail.com.